From the authors of the Goddess Girls series comes the third book in a series steeped in Norse mythology, magic, adventure, and friendship. 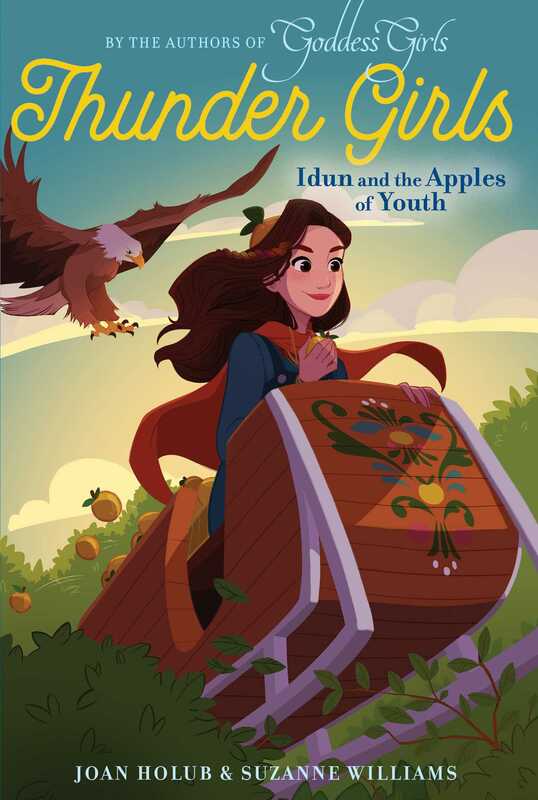 Twelve-year-old Idun is the goddess of youth, and her magical and deliciously sweet golden apples are what keep all of the academy’s gods and goddesses healthy and youthful. They grow year-round—even in winter snow—in one very special grove in Asgard. But when the mischievous Loki ends up making a bet that jeopardizes Idun—and her powerful apples—she must figure out a way to protect herself and her magical orchards from a giant who wants those apples all to himself! Can Idun save the apples—and the gods and goddesses who rely on them—from the two bad seeds at Asgard Academy?